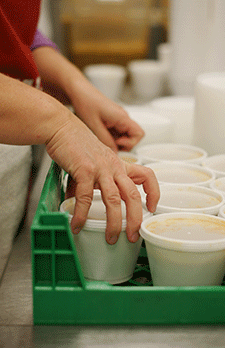 Have you, or someone you know, been positively impacted by Project Angel Heart’s home-delivered meal program? If so, we’d love to hear from you! Use the form below to share your story and photo on our blog and provide hope to others affected by hunger and life-threatening illness. We respect your confidentiality. Only your first name, age, illness (if applicable), photo, and story will be shared on our website. All stories will be reviewed before they are published. Questions or comments? Please use our Contact Us page. Photo (Optional): Your photo will be public. Please do not upload anything you do not feel comfortable sharing. Only jpg, jpeg, jpe and png files are allowed. I hereby authorize Project Angel Heart to use photographs of me, my name, and information about me in promotional materials produced by Project Angel Heart. I understand that my email and telephone number will be kept confidential and will not be distributed. I reserve the right to withdraw my authorization at any time by informing Project Angel Heart in writing. Should I submit a written withdrawal of authorization, I understand that any promotional materials or television segments already in process of design or production using my photograph will be considered authorized by me.